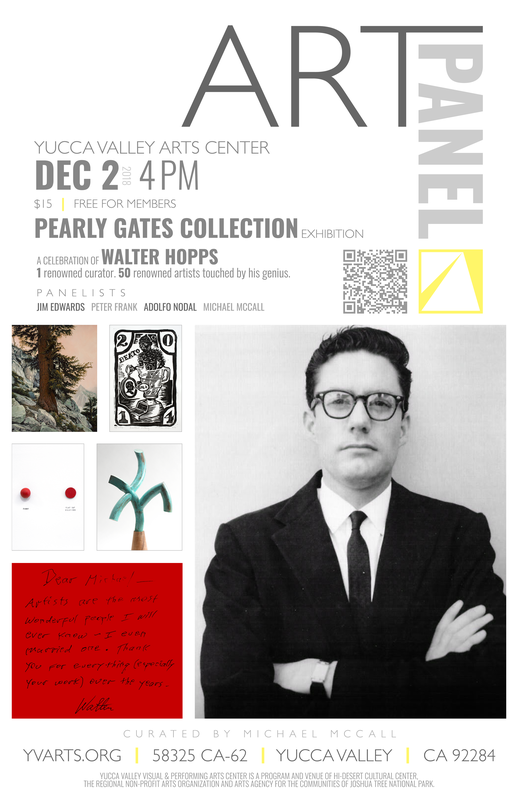 YUCCA VALLEY, CA — The Hi-Desert Cultural Center’s Yucca Valley Arts Center (YVArts) will present a panel discussion on the ideas and concepts surrounding its current exhibition, THE PEARLY GATES COLLECTION. The event will take place on December 2nd at 4pm. 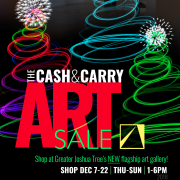 The exhibition, a conceptual curatorial project created by Michael McCall, the gallery’s executive curator, was built by trading worthless bank notes to 50 chosen artists, asking each artist to trade an artwork they feel would be worthy of exhibiting in the “Halls of Heaven”. 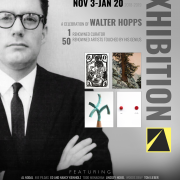 The project pays tribute to famed curator, Walter Hopps, who once owed the aforementioned bank notes. Hopps, along with Edward Kienholz, spearheaded the contemporary Los Angeles art movement during the mid-50s and opened the Ferus Gallery, which exhibited Andy Warhol’s “Soup Cans” in 1962. It was Warhol’s first gallery showing. Hopps went on to become the director of the Pasadena Art Museum, exhibiting Marcel Duchamp first retrospective in 1963. The year previous to the Duchamp retrospective, Hopps curated a show entitled, “Paintings of Common Objects”, credited as the first exhibition of Pop Art in the United States. 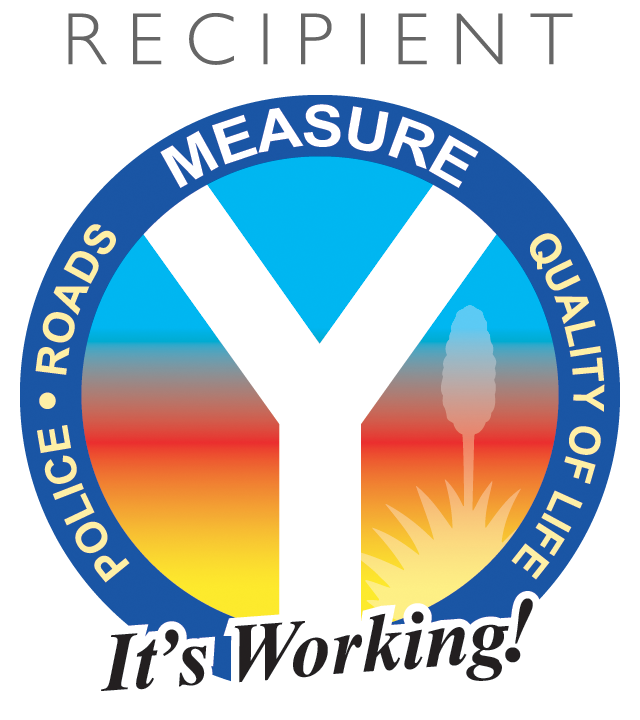 McCall will be joined on the panel by Jim Edwards, a colleague of Walter Hopps. Edwards co-curated the Pop Art: U.S/U.K. Connections 1956-1966 exhibition for the Menil Collections of Houston in 2001. 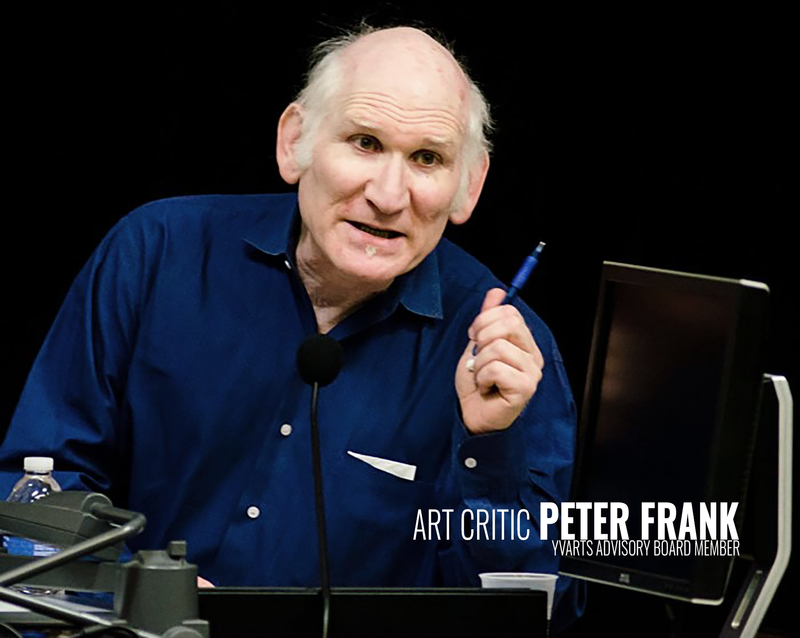 Art critic, curator, poet, and current YVArts Advisory Board member, Peter Frank will also be joining the panel discussion. Frank, a contributing writer to the Huffington Post and many art publications, recently curated the Tony DeLap retrospective for the Laguna Art Museum. Past Los Angeles Cultural Affairs General Manager and current YVArts Advisory Board member, Adolfo V. Nodal, will join the panel. 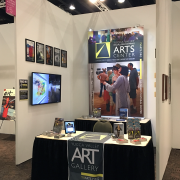 Nodal worked with Hopps during the late 1970s when Nodal was director of The Washington Project for the Arts. 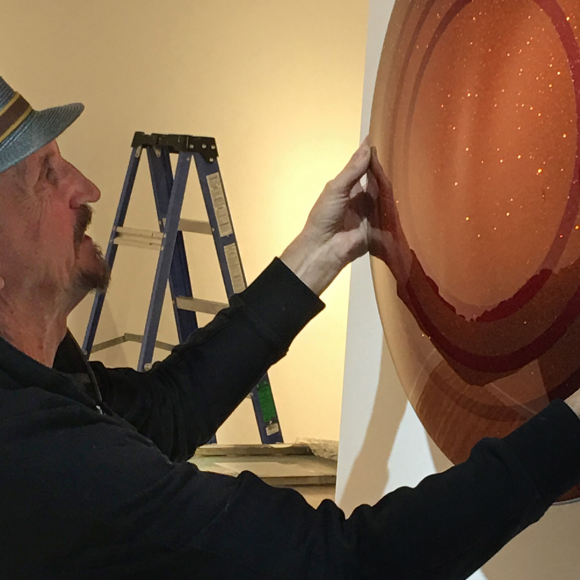 Nodal curated the current exhibition in the Project Room at the Yucca Valley Arts Center, entitled “Havana Noir”, which features artworks by famed neon artists Kadir López Nieves of Cuba and Michael Flechtner of Los Angeles. PHOTO CAPTION: Art critic, Peter Frank, will be among the art panelists for the Yucca Valley Arts Center’s upcoming December 2 panel on The Pearly Gates Collection—a collection in celebration of famed art curator Walter Hopps. Excited about teaching in the new facility!